Quickly connect patients with representatives and automatically send personalized reminders. Easily follow up on patients’ recovery, answer questions, send resources, and request feedback. Accept payments through every channel: web, phone, text, IVR, and in person. Let patients pay accounts in full, negotiate settlements, or arrange payment plans easily online. The Next Level Of Care. Every patient has different communication styles and preferences. The Intelligent Care solution combines voice, text/SMS, email, and web self-service technologies to provide the perfect balance of automation and personalization. It caters to each patient’s preferences without overburdening staff. Communicating with patients through their preferred method feels more engaging and personalized. As a result, patients feel more connected, valued, and cared for. By feeling they have control, they report higher overall satisfaction. Your patients feel more nurtured and supported and, as a result, describe receiving a higher level of care. Ease the anxieties and concerns of patients and their families while making surgery and specialist appointments as convenient as possible. Automatically call patients and connect them with the hospital’s Centralized Scheduling Team, optimizing both patient and hospital representative’s time. Blended Agent Dialing blends inbound and outbound calls for the same team. Outbound campaigns maximize agent talk-time by automatically speeding up and slowing down the dialer to perfectly balance agent time and avoid dropped calls. Ideal for appointment setting and/or pre-registration. Missed appointments are costly and time is the one resource that can never be recovered. Easily deliver appointment reminders through voice, text, or email with Automated Message Delivery. Seamlessly include patient data, names, times, dates, and much more. Intelligent Call Routing instantly transfers patients to office staff or a scheduling agent when they need to talk to someone. Make “no shows” a thing of the past and keep staff focused on their high-value responsibilities. That’s good, but do you know what their time costs you each day? Each month? Each year? Do they keep calling lines that are busy or never answer? Do they make those calls each and every day? Do they spend 2 minutes of valuable time to leave a message? Did you know . . . Almost 80% of calls reach voicemail or answering machines. Instead of spending valuable staff time leaving messages, utilize Intelligent Care automation to leave a personalized message in your own voice, a staff members voice, or professional voice talent. The Patient Reminder and Patient Notification components of Intelligent Care save the time and money it takes to make daily reminder calls. Send messages to specific groups of patients or to everyone. Announce new procedures, products, or service offerings. Inform patients when a physician needs to change office hours or when the office is closed due to inclement weather. Announce product recalls, send bill payment reminders, deliver lab results, present special offers, and reconnect with patients who have not visited lately. Automated messages don’t have to be dry and generic with Intelligent Contacts. Send natural, personalized messages including relevant names, dates, data, and more. Preventing unnecessary readmission is a challenge due to the complexity of diseases and social situations. Most hospital stays are short. After discharge, continued healing is dependent on the patient and family caregivers following instructions they may or may not have completely understood. Unfortunately, many patients lack the support they need for optimal recovery at home. Left alone, patients are often confused about medications, therapy, and follow-up procedures, and all too often make their best guess without asking their provider. While there is no one perfect solution, Intelligent Care includes multiple components, each playing a key role in patient care and promoting recovery. Ideal for patients at high risk of readmission.  The Intelligent Contacts Predictive Dialer helps you connect patients with the best nursing staff, social workers, case managers, or volunteers by managing inbound and outbound call campaigns. Maximize staff productivity without sacrificing a personal touch. An effective follow-up for many patients is an unobtrusive message. Intelligent Messaging gives patients an opportunity to take a quick survey or schedule a follow-up appointment automatically. Messaging puts the patient in control. If they’re experiencing complications, have questions, or need assistance, they can instantly connect with helpful staff. Many patients under 30 communicate extensively via text message. Texting has proven to be an incredibly effective follow-up tool and the Intelligent Contacts SMS solution supports instant two-way communication. In addition to simple messages, staff can include web links to post-discharge instructions, worksheets, and other helpful information. Easily send patient reminders, send follow-up referrals, and informally check up on their recovery progress. Email is the ideal for web links and easy access to care instructions, therapy worksheets, preventative care information, and more. Intelligent Email is also perfect for gathering patient feedback and measuring patient satisfaction through surveys. Every Payment Channel. One Convenient Source. Navigate left and right to explore the Intelligent Payments suite. Accept consumer and commercial payments directly from bank accounts. Convert checks accepted in person into electronic transactions and accept checks via the phone or the web. Funds are automatically deposited into the account(s) of your choice. Your own web portal: easy to customize and even easier to use. Let patients manage their accounts, schedule one-time or recurring payments, and update bank or card information online. Works with your existing hospital or practice management software. Enable patients to apply for charity care online. Every document, form, and field filled out the first time, available in one place online, without the cost and time taken up by snail mail. View and manage applications from anywhere with an internet connection and a browser. Securely deliver bills, invoices, and statements to patients with Electronic Bill Presentment and Payment (EBPP). There’s no need for an external website: each transaction can be completed from the bill itself. Slash mailing costs and get paid faster. EBPP is compatible with every other Intelligent Contacts solution, so it’s even easier to save you and your consumers the time, money, and frustration of traditional billing methods. Payments from all channels are accessible in a single online gateway with complete reporting, comprehensive search options, and instant export capability. Payment solutions are compatible with all CRM, practice management, and financial management software, and a number of real-time software integrations are available. Any business that sends a bill has some delinquent accounts. Proactively manage those accounts with the Intelligent Contacts solutions and direct debtors to the Intelligent Negotiator to work out a settlement, payment plan, or other payment arrangements. It always follows your business rules and negotiates without any human involvement. Collection dollars flow right into your bank account via Intelligent Payments. The Intelligent Negotiator can automatically send payment reminders, required notifications, and electronic confirmations. Reduce delinquencies and late payments overnight by accepting payments 24/7. Intelligent Payments alleviates the majority of the PCI compliance burden around card storage by securely storing payment data in our vault, and administers a PCI program for all merchants for easy compliance. Our communications software also includes features designed to make TCPA compliance easier than ever. No more worrying about time zone rules or Do Not Call lists. We’ve got you covered.